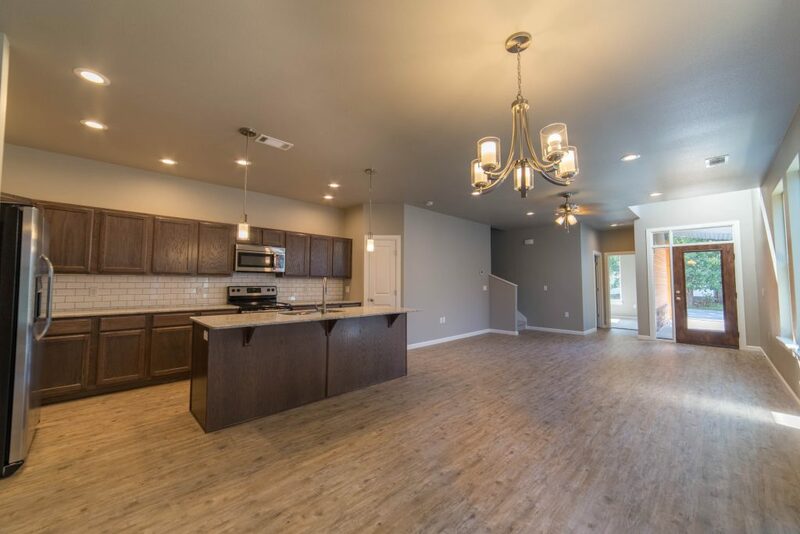 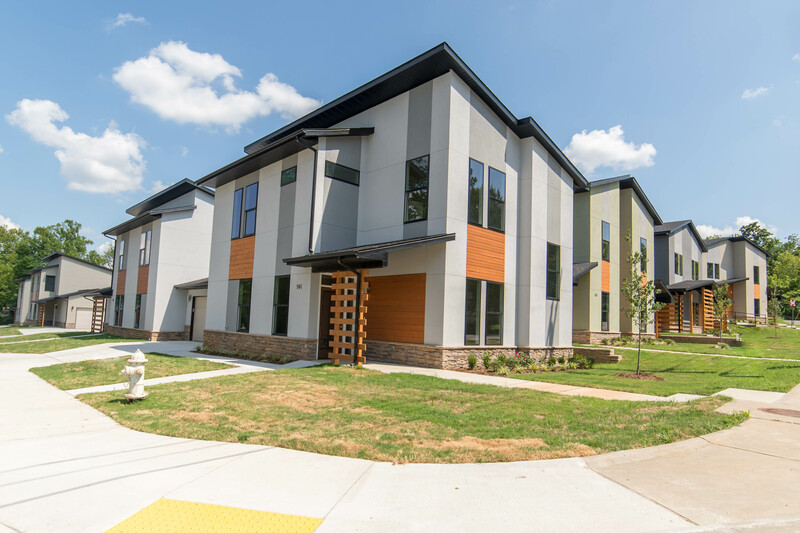 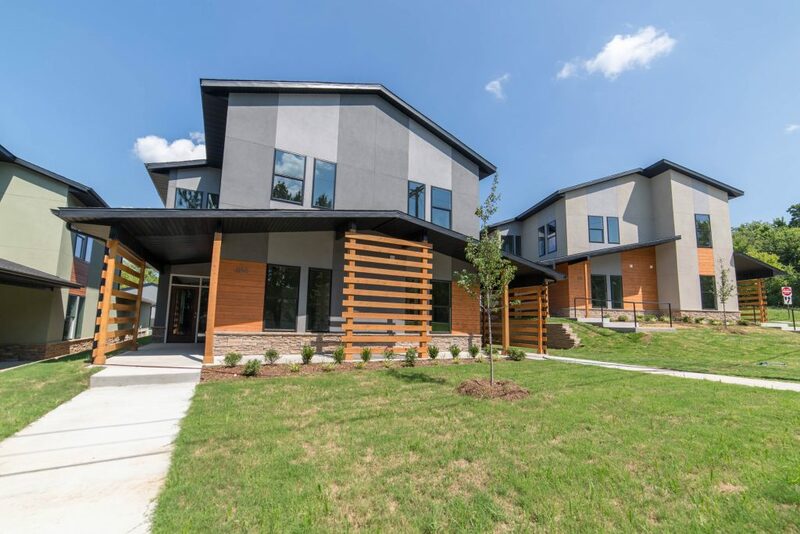 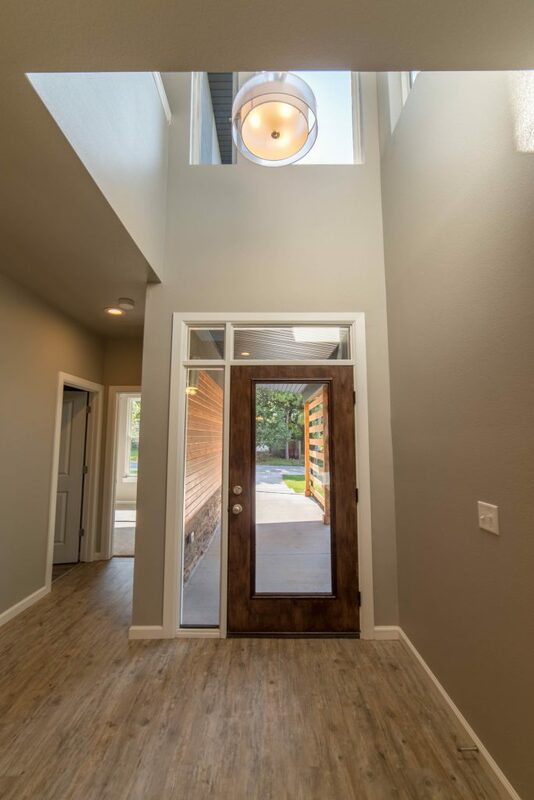 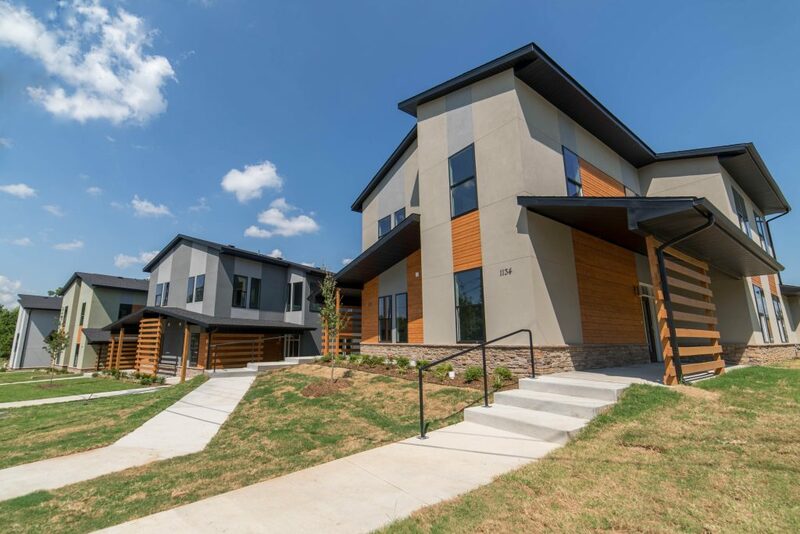 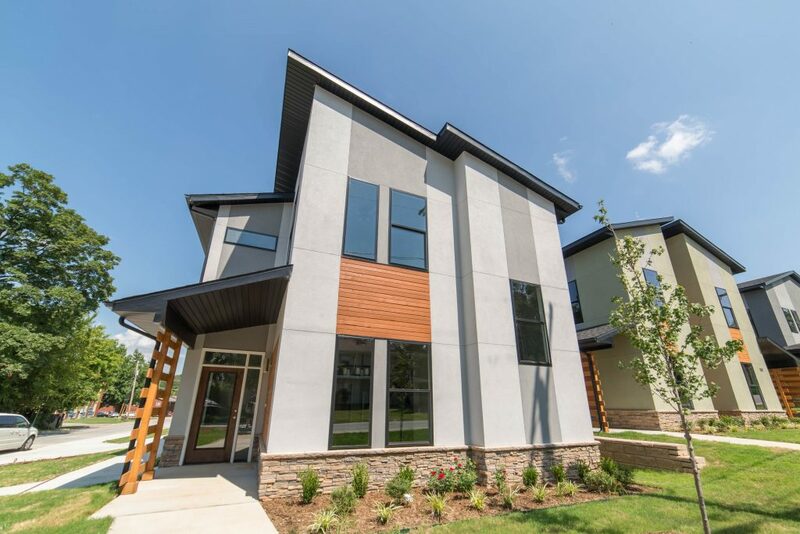 The North Cedar Townhomes project was completed in the summer of 2017 and are located off of North Street in Fayetteville, Arkansas on city block between Oakland Avenue and Storer Avenue. 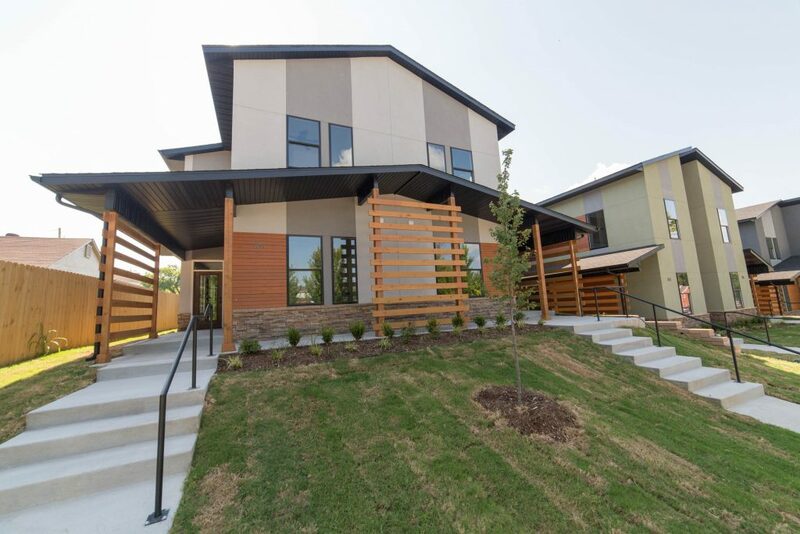 There are a total of eight duplex townhouses for a total of sixteen townhouse units. 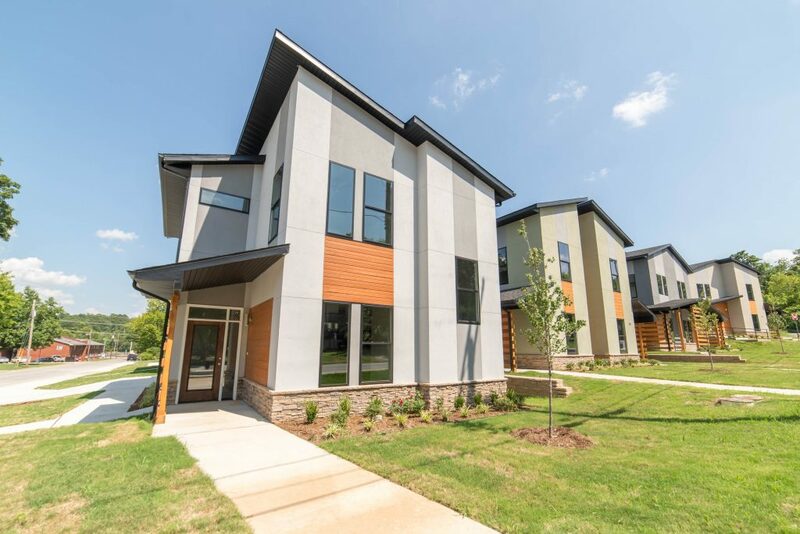 The square footage ranges from 1,600 SF for three bedrooms and 1,766 SF for four bedrooms units. 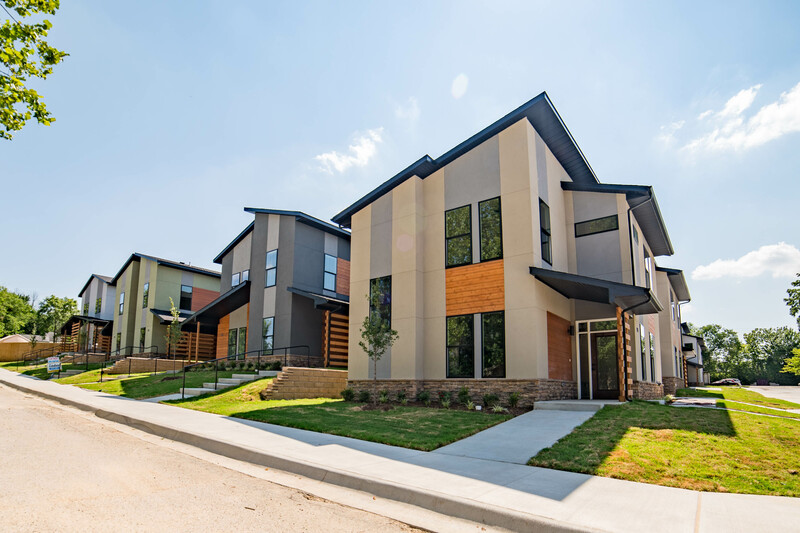 Our design challenge was to create an overall cohesive design strategy to the Townhomes yet provide individual design qualities to each Duplex Townhome. 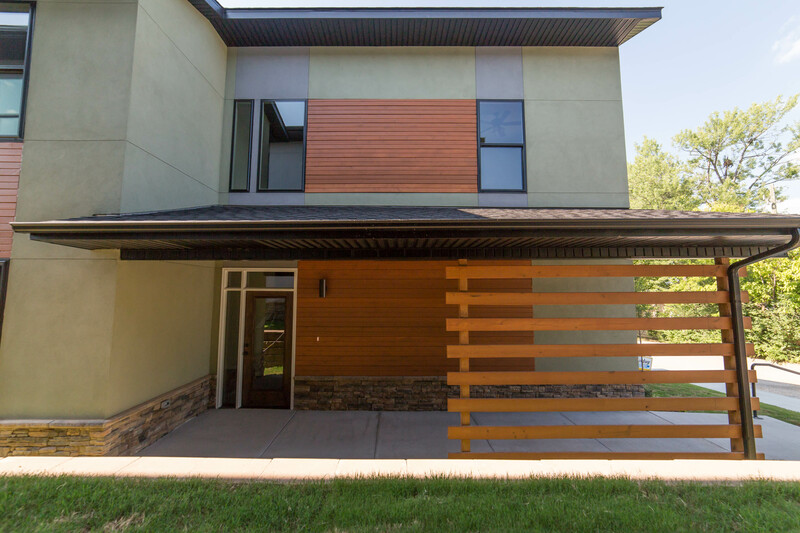 We incorporated a material palette of stucco, manufactured stone, and stained cedar siding. 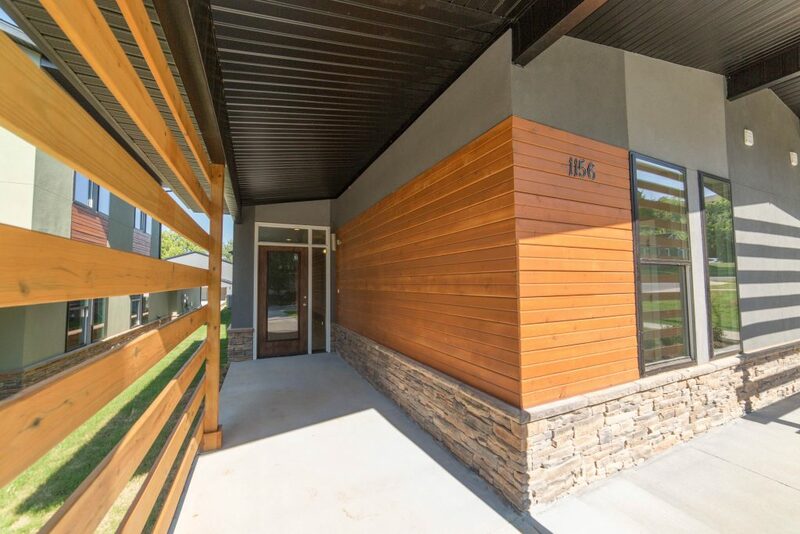 The duplexes are divided by an alley that allows access to garages at the back side of the Townhomes.